Welcome to the new era of our company. Throughout the year of 2019 we will be launching multiple new services and products to provide more added value to all of our customers. We are excited to tell you what we've been working on and why we believe that Axiory is No. 1 brokerage for you. Bank accounts in a AAA rated country of Liechtenstein in the Swiss Region, and new bank accounts in the prestigious Dubai (UAE) region. We completely re-coded our system to comply with the newest technology standards that allow us to build things and offer services that were not possible in the past. Direct bank transfers to a Liechtenstein bank. Accepting JCB cards for direct deposits, and most importantly a new payment company with 3 local bank accounts allowing local wire transfers. We started cooperation with Jumio - the industry leader in KYC validation and verification that allows us to create a much faster and smoother customer registration process. A unique platform where you can test your manual trading strategy on historical data. Speed up or slow down the time and see how your strategy works out! We are preparing a package for experienced traders including Autochartist system and a unique Axiory Pro MT4 Terminal. It is no question that the available payment methods are among the most important aspects of any brokerage. That is why we decided to bring something reliable and unique to all of our customers and worked throughout the 2018 to integrate it. Axiory currently holds active accounts at 7 regulated financial institutions that can be used for bank wire transfers. Among them are banks regulated in Liechtenstein, the ever-growing Dubai (UAE) and financial money institutions regulated by FCA in the United Kingdom. We also started cooperating with a licensed company with 3 bank accounts in a reputable Japanese bank that will allow for fast wire transfer deposits. On top of that, we newly incorporated JCB cards for direct deposits. Axiory partnered with a company for a local money transferring business. Our partner shares our pro-customer approach, similar values, and strong IT background. We have worked hard to create the most effective integration of this payment system into our new Client Zone that allows for the most convenient payments. For the safety of your funds you need to be verified by this financial entity first and after that deposits will be very smooth and easy. Most importantly, you can choose between 3 local bank accounts! Since the full integration of the local wire transfer option takes some time, we will be launching them in an “open beta” version. This version is only missing a few features that will provide more user-friendly on-boarding but is otherwise fully ready and functional. The official launch is planned during March. An FCA regulated, customer favorite e-wallet company used by many. Axiory is now integrating it as well! Customers from around the world will now have the option to choose between two of our banks available for wire transfer deposits. One of them is located in Liechtenstein, in a Swiss region, and another in the fast growing and modern Dubai (UAE). If you want to deposit fast, card transfer is often the best. So far we offered only Visa deposits but we are now launching deposits by JCB cards as well! Also, once you use your card, your information will be registered automatically. You can send deposits much more smoothly afterwards. We have completely rebuilt our technology infrastructure to help you do more and faster! Axiory has always strived to be the best when it comes to trading & IT systems. Last year, we decided to take it even one step further. Our teams worked hard to bring you something reliable, new, and refreshing. The new systems allow us to use things that were not possible before such as further automation; therefore, all of your requests can be processed at a moment's notice. New coding, so the systems react much faster than ever before. And a new ground to build new things for the future. We also rebuilt a new website from scratch with a refreshing design. You can look forward to all these refreshing new designs and systems on 28.2.2019. Client zones of most brokers are still stuck in the last decade but times have changed. To get the most from today's technology, traders need more than just basic features. This is why we decided to develop our New MyAxiory completely from the ground up! We build it with the newest technology that allows us to bring new features in future. Also we listened to the feedback of our clients and packed it with features that make your trading experience better and your life easier. We offer you a fully responsive and minimalistic design that adapts to whatever screen you're using. It also tracks your trading performance by giving you the opportunity to deposit or withdraw your funds anytime, from anywhere. We have built a new interface where you can see how well your account is performing. A simple and clean overview of your trading history. You can ask to change the leverage in the client zone and if a certain leverage is available for you then you can exchange it straight away. You do not need to wait for the approval for an additional account. Just click and have a new account immediately. We have a list of features that we would like to add to the new client zone. We are happy to hear feedback from any customer and ideas on what they're missing, so that we can focus on it and deliver with the next update. Axiory team worked hard to create a relationship with one of the most advanced technology companies for customer verification, Jumio. As a system for fast and secure customer verification, Jumio brings a lot of benefits to our company. That is why it is being used more and more by leaders in the financial sector and big banks (such as HSBC). Jumio is leveraging advanced technology including biometric facial recognition, machine learning, and verification experts. Jumio helps businesses meet regulatory compliance including KYC and AML, reduce fraud, and provide a safe and secure customer experience. Even though trading on the financial markets is about technology and high speed - human to human interaction is still one of the most important services to customers. We take it seriously and we are very happy with the results that we have achieved so far. This, of course, doesn't mean that there are no things that we can do better. We will always work hard to improve our standards. It is a never-ending road towards our vision of great customer experience. Below is a screenshot from our back-office systems showing the current rating. Thank you very much for all your loyalty to Axiory! Our dedicated fin-tech team makes sure every part of the trading infrastructure works at 100%, maintaining the highest possible standard of trade execution. On average we execute trades with 0.033 points slippage, that's 300x smaller than 1 pip! 60% of all trades is executed with absolutely no slippage. We are one of the few brokers that transparently pass all the positive slippage to our customers. Axiory team is always working on improving trading conditions and spreads and we are now able to decrease spreads on your favorite indices. Axiory is launching a new platform fxSimulator where you can learn trading faster than on a demo account. You can test your strategy on historical data, move very easily in time, and in a few seconds you will know if your trade was successful or not. Learn how to trade and test your strategies on historical events even over the weekend when the market is closed. 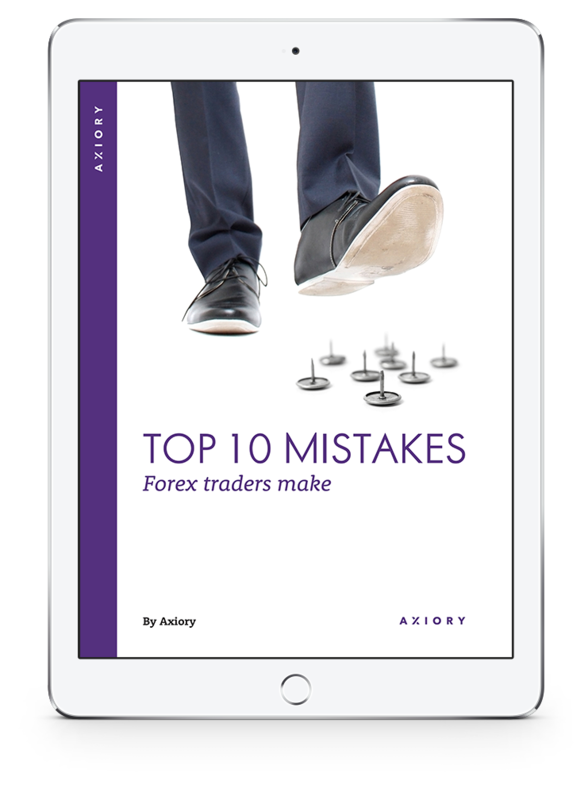 Learn how to avoid the Top 10 Mistakes traders make when they start trading in the currency market. Learn how to trade on the Forex market with one of the most valuable trading techniques, and move your trading to a more advanced level. In this ebook you can learn how to move your basic knowledge about the Price Action to an advanced level. Thank you for your pre-order. We will contact you when the e-books are available. As a world’s leading tool in the field of automatic identification of trade opportunities, Autochartist is something you shouldn’t miss. This Metatrader plug-in offers you an opportunity to redefine your trading habits and outcomes. And on top of that, if you have a live account opened with Axiory, it comes for free! Thanks to search engines which monitor a thousand of financial instruments 24 hours per day, it is able to deliver real-time trading opportunities in the form of Chart pattern formations, Fibonacci patterns, and Key Levels straight into your terminal. Apart from Chart Pattern formations, Fibonacci patterns, and Key Levels, Autochartist also offers Volatility Analysis. Thanks to this the trader should be able to confidently set stop-loss and take-profit levels based on the provided statistical information on the instruments he trades. This ultimately leads to a better assessment of risk and volatility. A completely new trade window which will allow customers to place more advanced trading orders. We are bringing the OCO (One-Cancels-Other order) and OCA (One-Cancels-All) trading orders to the MT4 platform. Besides that, you will be able to place trailing stop losses which will give you more options regarding your trading strategy. Last but not least, we are preparing a "trading calculator" which will help you to calculate stop loss and take profit levels as well as the margin you need to open such a position. Calendar Window allows you to see all the important events happening around the world with the possible impact shown straight on your platform! Besides that, the map on the left is showing you the current trading session which can help in your trading. Our PRO MT4 Terminal will also include an advanced alert system where you will be able to define alerts using multiple methods and settings. This will give you the opportunity to always stay informed and in touch with the market. Manage your positions straight from the PRO Terminal window. Close or edit them easily from the comfort of the terminal.